What is Floater Family Plan Policy and what are its benefits? Best Family Floater Mediclaim Policy 2018: The cost of medical treatment is increasing day by day. This makes it necessary to buy health insurance. In present times even in minor treatments, the costing goes in lakhs. To save oneself from such probabilities of life it is necessary to take health insurance. But with increasing rates of treatments, there has been the drastic increase in the premiums for health insurance too. For instance, if there are four members of your family then you will have to spend in total Rs. 10,000. In such cases taking family floater plan is a good option.in this case, there is no need to take a separate policy for all the members of the family. In comparison to the individual policy, this is 30-50 percent cheaper. In this article, we are going to discuss the benefits of floater plan. 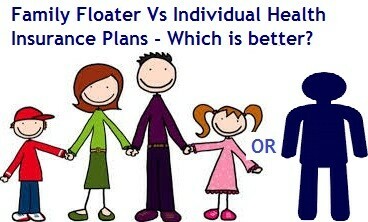 What is family floater plan policy? Family floater plan includes the entire family. Usually, all the insurance companies offer the family floater plan by calculating the size, age of members and amount of policy of the family. Usually, in this policy, husband and wife and their kids are included. Under this policy, all the members of the family get the benefit of the policy. However, you can increase the coverage with the help of insurance policy top up. What are the benefits of family floater policy? The biggest advantage of family floater policy is the less costing involved in it. This is very cheaper as compared to an individual policy. However, the benefits of common policy like hospitalization fees, doctor fees, medical procedure fees, ambulance and pre and post hospitalization costs are included. In some policies, there is a facility of health check-up for the entire family. The security of entire family at less price is the biggest advantage of family floater policy. For instance, there are four members of the family. If we wish to take the policy of each member for rupees two lakh each then we have to spend Rs. 10,000 on it. On the other hand, if you take family floater policy for rupees four lakhs then the total costing on it will be only seven thousand rupees. One more good thing about floater policy is that if any member needs medical attention the entire amount of policy can be spent on that individual. With family floater policy, many people think that if the entire amount is spent on one individual then what about another individual of the family. But you should know that most of the insurance companies give restoration benefit. This means that for the remaining time, the company top up the amount once more.